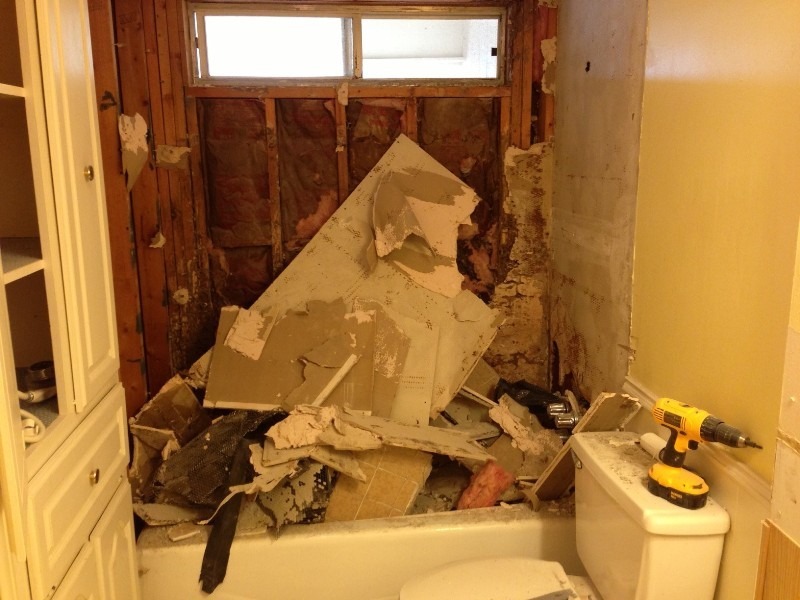 We demolished this 1970’s bathroom back to the studs, finding a significant amount of previous termite damage which was rectified. Several new pressure treated studs were installed along with new insulation. 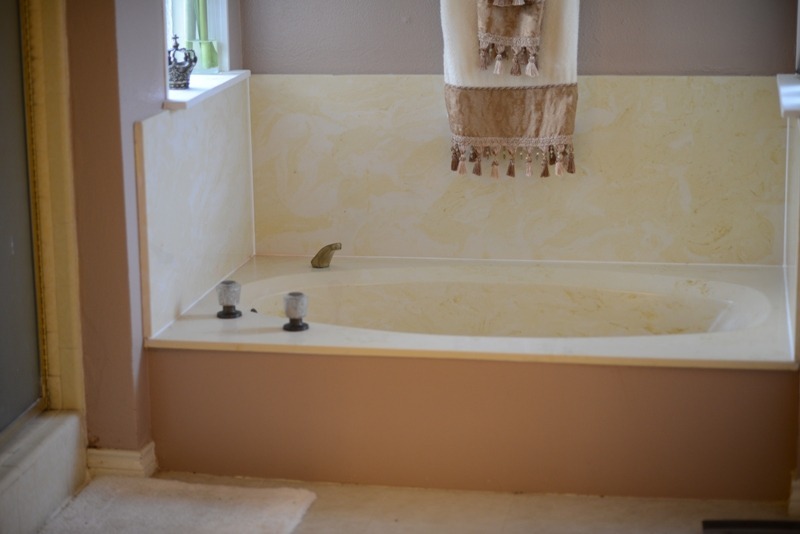 Original tub was very shallow, only 13″ deep. The new Jacuzzi jet tub is a full 19″ deep … just right for a luxurious soak !! 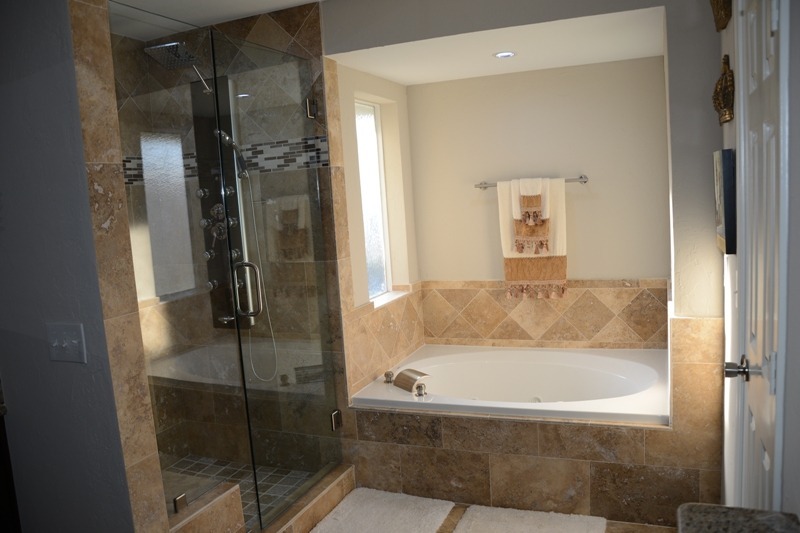 The right image shows the finished shower and Jacuzzi tub with stunning 8″ wide brushed nickel waterfall faucet. 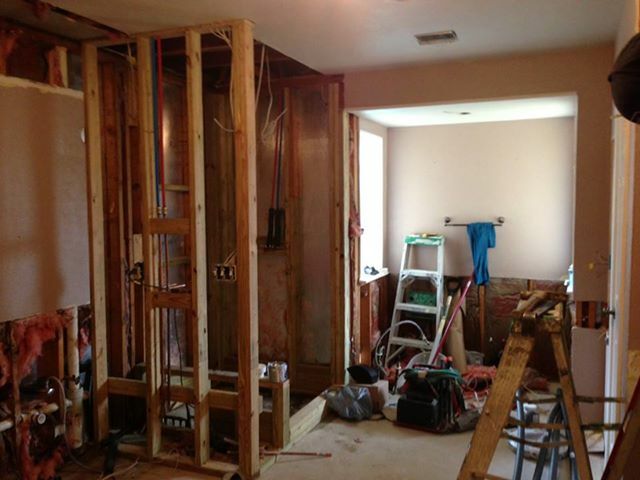 These images show the new shower and tub under construction. We enlarged the original shower footprint by approx. 14″ wider, and 6″ deeper. 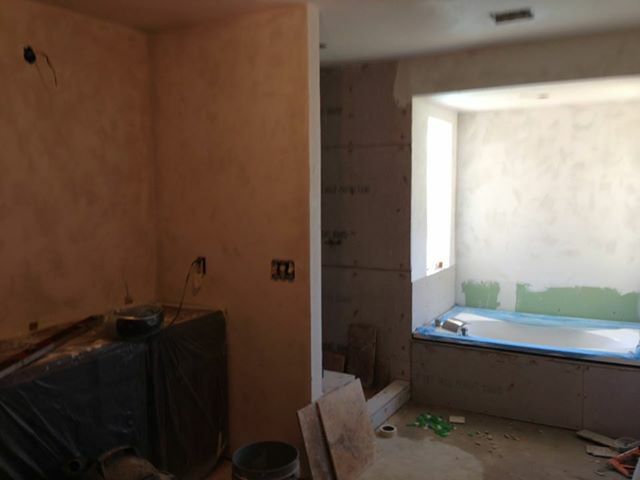 Shower walls were clad in 1/2″ Hardibacker tile backing, and also the tub plinth sides. All new plumbing and drains were installed. The vanities were replaced with new solid wood ‘Espresso’ finish units with ‘Shaker’ style doors, and a custom “Giallo Ornamental” granite top with undermount sinks installed. Note the gorgeous waterfall style single handle brushed nickel faucets. New framed mirrors were added together with a matching wall storage cabinet. This large image shows the whole bathroom (although the frameless shower door had not yet been installed). 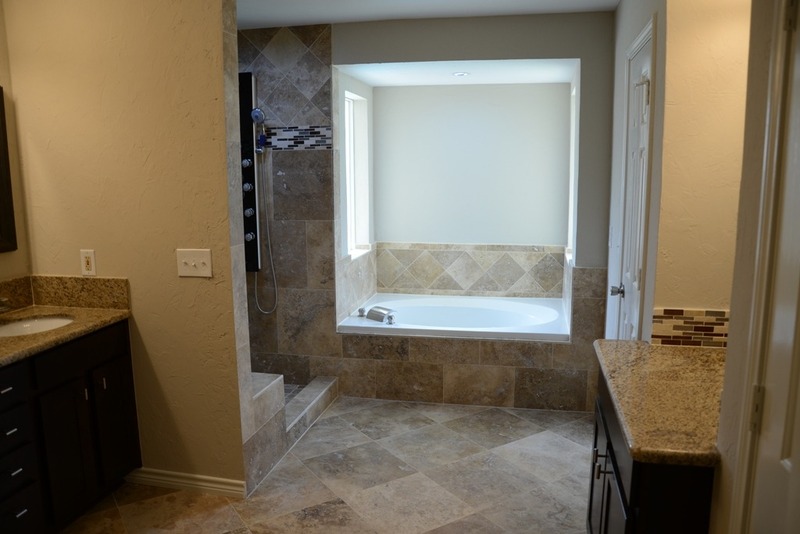 Note the elegant travertine tile floor (Tuscany Storm) laid in a diagonal pattern with 1/16″ grout lines. 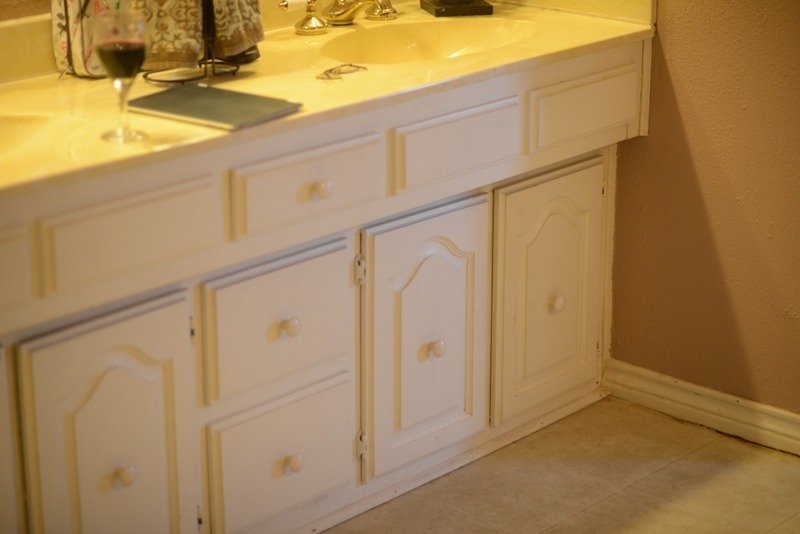 We also added a separate matching dressing vanity on the right. 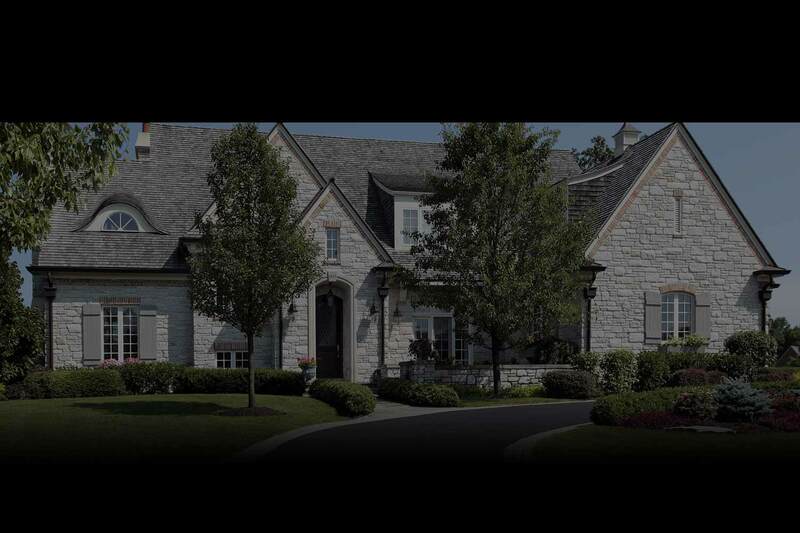 The walls were retextured with a light ‘Adobe Trowel’ finish and painted in ‘Kestrel White’ latex flat color, with oil based white semigloss on all doors and trim. Looking into the new shower (before the frameless glass door was installed) you can see the dual matching bodyshower systems which have a smoked glass finish and rainshower heads with flexible pulse handshowers. 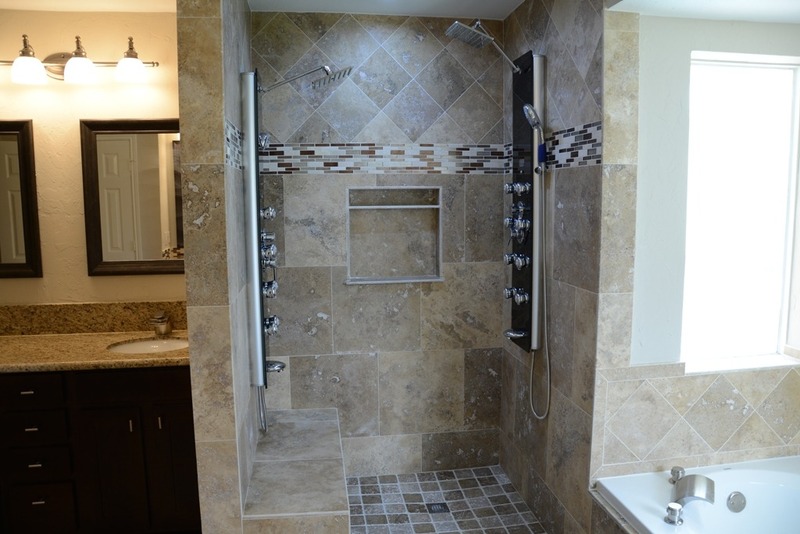 Note the custom travertine recess for soap and shampoo products. We also added dual LED recessed lights in the shower ceiling for plenty of ambient light. 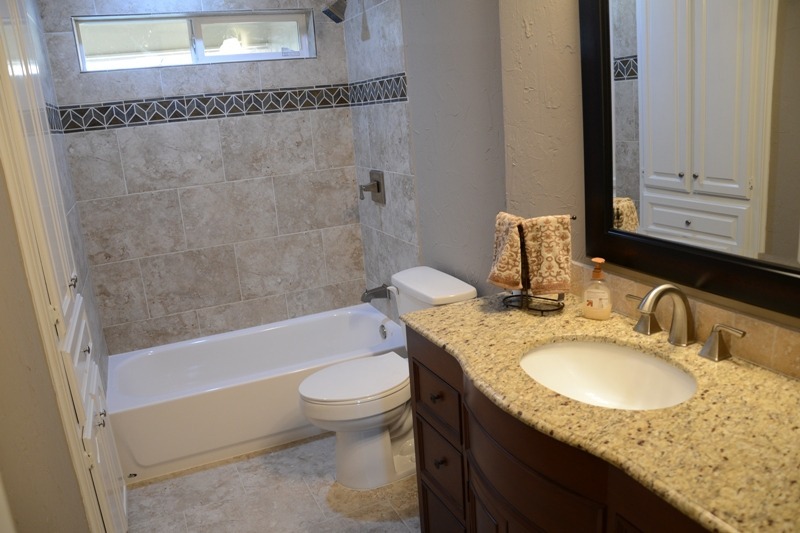 Also, you’ll love the custom seat and tumbled marble shower floor which is fairly non-slip. Finally, we also updated the guest bathroom. Similar termite problems were fixed and new studs installed. We replaced the old tub and shower faucet, and retiled the walls and floor. 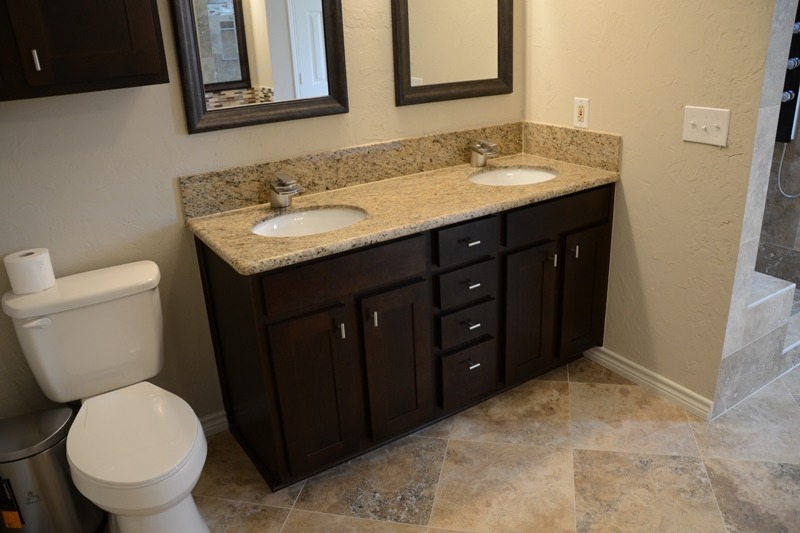 A new custom furniture style vanity was installed along with a new toilet and accessories.